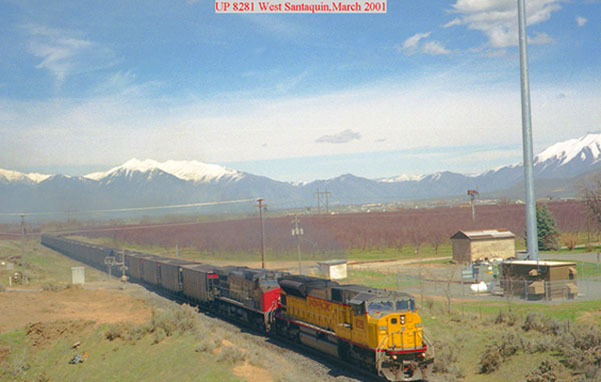 Greetings,This website will deal mainly with train activity south and west of Salt Lake City, Utah. 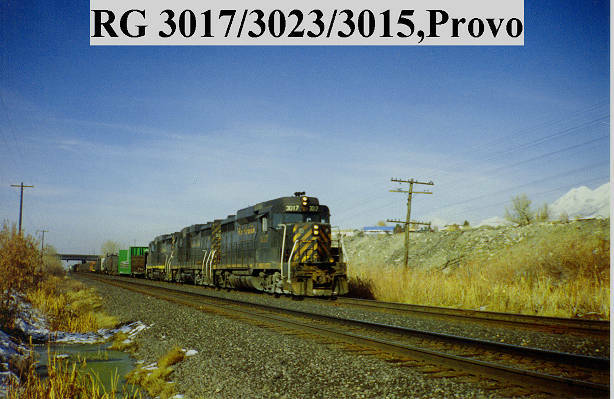 I will be featuring photos from the early 1990's to the present,Hopefully I will be able to obtain some photos prior to that time from the 1970's and 1980's. 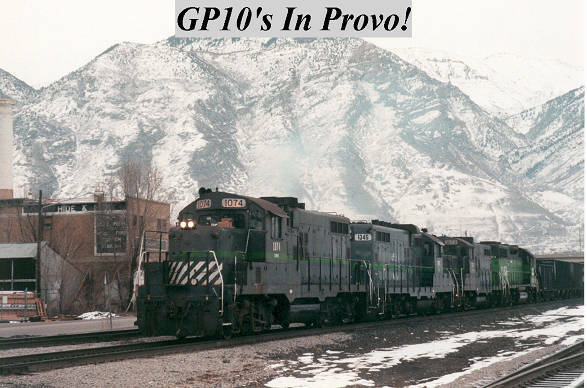 This website will feature photos of Rio Grande,Southern Pacific,Union Pacific and Utah Railway around Provo. 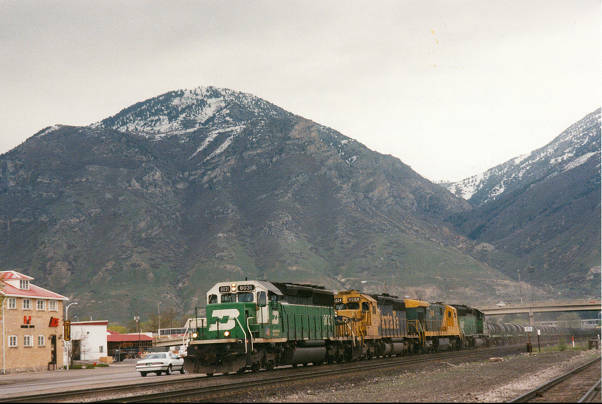 Southern Pacific SD40-T2#8365 basks in sunlight in Union Pacific's Provo Yard in the Summer of 1999, Testament to the merger phases that SP has been through in the last thirteen years up to 1999. 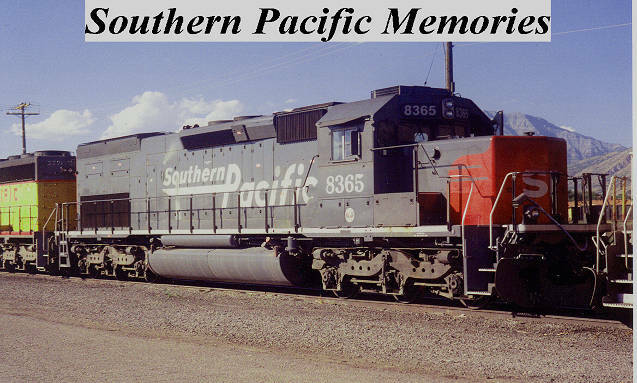 The Southern Pacific''Speed Lettering'', Was Rio Grande Inspired.